Very interesting data here from the TARR report. The news is you own a townhouse isn’t very good with sales figures down and average dollar per sale for both townhouses and condominiums down substantially. Interestingly re-sale detached homes are down a staggering amount too but in terms of overall detached home sales figures are up, bolstered by new home sales. I think if we study the information in the TARR report and then look at data from Fiserv a financial and information analysis firm, who in an article published 10-/21/2009, states that median home prices will fall 11.3% by summer 2010. Keep in mind that this is a national forecasting and each region of the county is different. The Raleigh/Durham area according to Housing Predictor is expected to see values slide some 9.3% for Raleigh and 8.9% for Durham. The law of supply and demand is at work here with more foreclosures expected to come on the market this year driving values down. Unemployment numbers are still exceptionally high at 11.2%, December 2009, USDLS, that is 11% of the population who won’t and can’t buy homes, cars, appliances, food; thus pressuring the entire economy downward. I can only deduce in reading all of this that housing is a least for the time being still caught in the recession and that perhaps it will take two to three more quarters for real estate to start to recover. This two bedroom, two bath townhouse is waiting for its new owner. Some minor updates are needed but all in all the place is in good shape. On the main level is a “bedroom” a kitchen and a huge combination living room/dining room. The focal point of the living room is a gas burning fireplace with classic mantel. The combination living room/ dining room is vaulted and there is a convenient “pizza pass through” between the kitchen and the dining space. The second level of this home boasts a HUGE master suite. The dimensions are 17×16 and the walk in closet will knock your socks off. 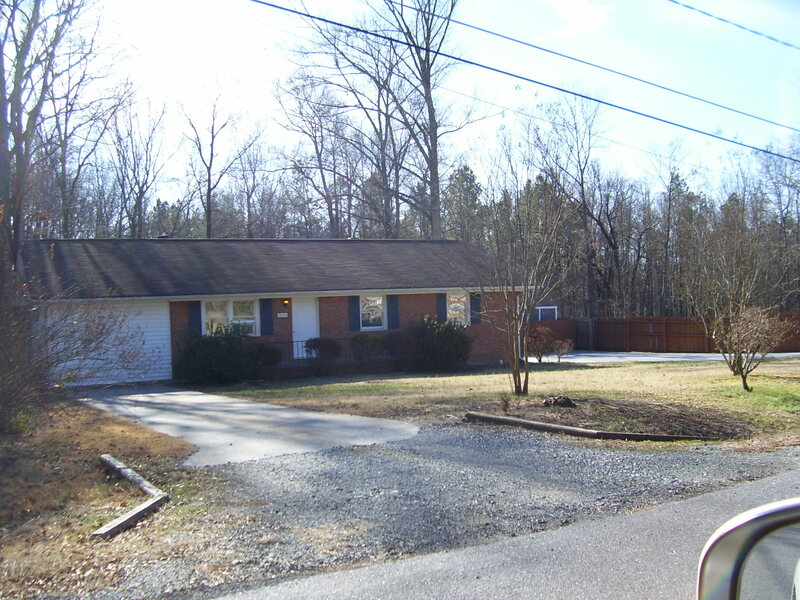 This home is an estate sale and a short sale so bank approval will be required. Come look at it and see why Stonewall Village and its residents are some of the friendliest folks around. With a dramatic reduction in price this townhouse is ready to sell. This two bedroom, two bathroom, ranch style townhouse; with private drive and private backyard is now priced at $129,900. The interior is light and bright. The living room with sliding glass door, picture window and vaulted ceiling is flooded with natural light and a wood burning fireplace is the focal point of the room. The walls have been freshly painted and the carpets freshly cleaned. A nicely sized dining space adjoins the living room and is a perfect spot for morning coffee and watching the birds feed in the backyard. Soon the kitchen will be updated with a new coat of paint as will the bathrooms. The galley kitchen is efficiently laid out to save steps and make meal preparation simple. 4904 Pine Cone Drive has two nicely sized bedrooms, each with ample storage space and the master suite with private bath is at the back of the home for quiet and privacy. 4904 Pine Cone Drive is located in the Five Oaks community. Five Oaks offers a lake with walking trails, a huge club house with movie loft, gym, yoga studio and monthly events like bingo, bunco, euchre and poker. There is a fully fenced community dog park; there are lighted tennis courts, basketball courts, barbeque facilities, a swimming pool and even a swim team. Five Oaks offers a whole host of activities for all age groups. Stylistically one can find a home to fit almost any need within the community with some designs trending more traditional to others trending more mid century contemporary. There are some 280 townhomes within Five Oaks and many detached homes. Townhouses range in size from just over 1000 square feet to nearly 2000 square foot condominiums in the Hickory Downs section of the neighborhood. 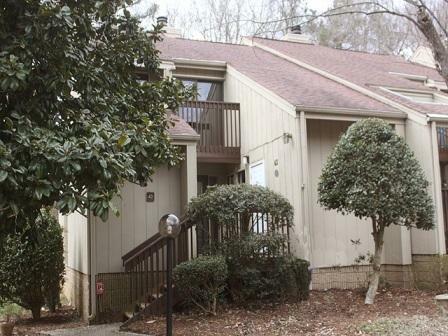 Open House Saturday January 23, 2010 at 6704 Somerknoll Drive Durham NC 27713 from 2- 4 pm. Come out on Saturday and see this fantastic four bedroom home just steps away from shopping and dining. This spacious home is just perfect for the first time home buyer. There will be a drawing for a $50 Home Depot Gift Card to get you started in your new home just right. You can register to win at each home. Michael Sullivan with Fonville Morisey Realty will be your host at each home. With nearly 17 years real estate experience in Raleigh, Durham, Cary and Chapel Hill, Mike Sullivan has a wealth of experience in this market. Michael Sullivan also has access to the best mortgage lenders, home inspectors and insurance agents. 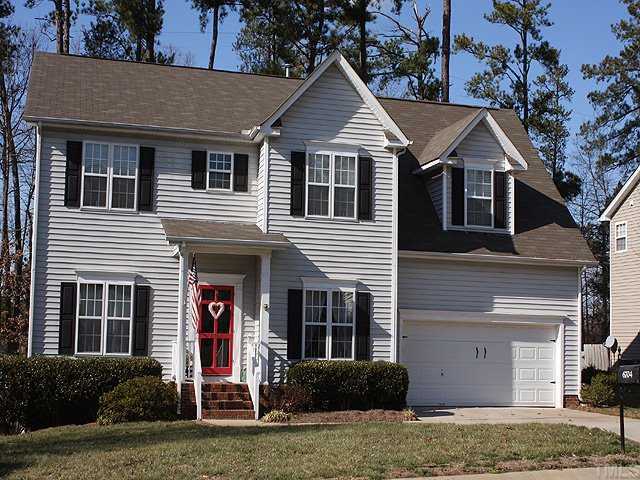 2240 Spruce Shadows Lane Raleigh, NC 27614 offers something for everyone. The main level of this home is light and bright with nine foot high ceilings, a dramatic two story foyer, graciously sized formal living room and dining room. 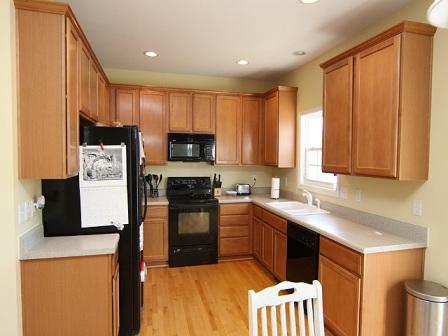 Additionally there is a huge kitchen, breakfast room and family room across the back of the house. This home overlooks undeveloped green space at the back of the property and there is a community pocket park to the left of the home. 2240 Spruce Shadows Lane feels like it is on an absolutely huge lot with only one neighbor directly to the right. Upstairs are three large bedrooms and a fourth room currently being used as a guest room and office. This space could easily be a media room, play room or home office. 2240 Spruce Shadows Lane is well cared for, the kitchen appliances remain with the home, a home warranty is in force and is transferable, the exterior siding is easy care vinyl and almost all of the windows were replaced six months ago. You will just love the Wakefield neighborhood with its sidewalks, community schools, amenities and fantastic location with easy access to Capital Blvd. and all of the fantastic diversions that Wake Forest and North Raleigh have to offer. To arrange a private tour of this home, phone or text Michael Sullivan, REALTOR at 919-608-2372 or email him at MSullivan@fmrealty.com Michael can be visited on the internet too at www.TeamMichaelSullivan.com or www.TeamMichaelSullivan.net. Wow, wow, wow, what a home. This fantastic end unit townhouse in the Five Oaks neighborhood is a home that will inspire at every turn. 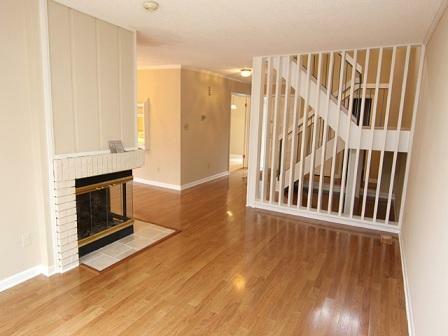 The expansive foyer, living room and dining room are finished in gleaming hardwood flooring. Taupe walls are offset by brilliant white trim and double sets of sliding glass doors one set in the living room, the other in the dining room flood this home with natural light. New lighting fixtures have been added, a lovely ceramic tile surround has been added at the fireplace and new wall to wall carpet has been added to the steps and entire second level. The staircase has been lightened with high gloss white paint making this home just sparkle. There is ample deck space at both the front and rear of this home and a second floor balcony services the second bedroom. Storage is not an issue with three large storage areas, one off the front deck, one off the rear deck and a room sized closet off the second bedroom. Michael Sullivan has been a full time professional REALTOR in the Triangle Region of North Carolina for nearly 17 years. Put his experience to work for you. I’ll admit it; I’m partial when it comes to brick ranches. I don’t know what it is about them, but I love them and 3616 Westminster Ave is no exception. 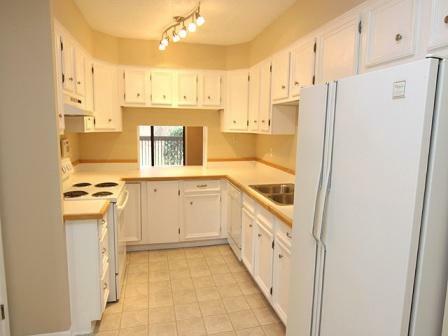 This home has a lot going for it and appears to be very well cared for. The first striking feature is the lot, which is just at a half acre, is mostly level and is bounded at the back by woods. There is a tremendous detached two car garage with storage space and a sound studio which could be easily transformed into a workshop, art studio or office. Additionally there is a two tier elevated deck with cabana at the backyard too. The whole backyard is fully fenced, on three sides by stockade and at the back by chain link. A concrete drive leads from the street to the garage and there are additional storage sheds too. Inside there is a large formal living room and a country kitchen with a bar that looks into the living room, there is no formal dining room. 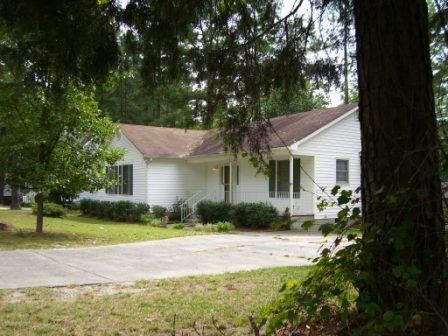 The house is serviced by a spacious laundry room and what was once a carport is now a “study” with adjoining full bath. This space could easily be a fourth bedroom. At the other end of the home are three large bedrooms, the master has a walk in closet and a private bath. The two auxiliary bedrooms share a nicely updated hall bath. Off the dining area of the country kitchen is a 15 x 15 three season sunroom with a ceramic tiled floor. This space does not have heat or air conditioning but is an awesome addition to this property. The heating and cooling systems are newer as is the roof. This fantastic home at 3616 Westminster Avenue is aggressively priced at $154,900.